Senior Project Presentations are coming Wednesday, April 10th. 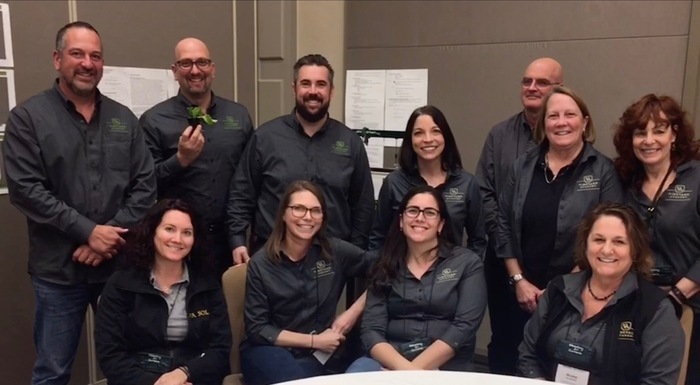 We are looking for community panel members. If you are interested in being on the panel, please complete the google form here: https://tinyurl.com/y3jwc564 Thank you for all you do! You are so appreciated! It's not to late to get Prom Dresses through the Princess Project! To make an appointment to shop for a dress, all teens have to do is text “hello” to 707-708-4185 and follow the prompts. Their pop-up shop is at Coddingtown Mall in Santa Rosa; they are between Bath & Body Works and Famous Footwear. Seniors and Senior Families: Jostens will be on campus this Friday, March 29th during break and lunch to deliver graduation announcement orders. This delivery does NOT include caps and gowns, those will be delivered later in May. Look for the yellow Jostens tent! 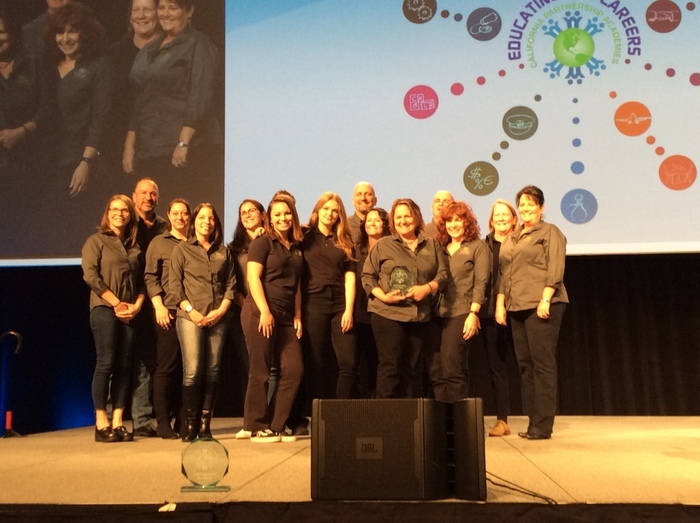 Congratulations To Vineyard Academy! 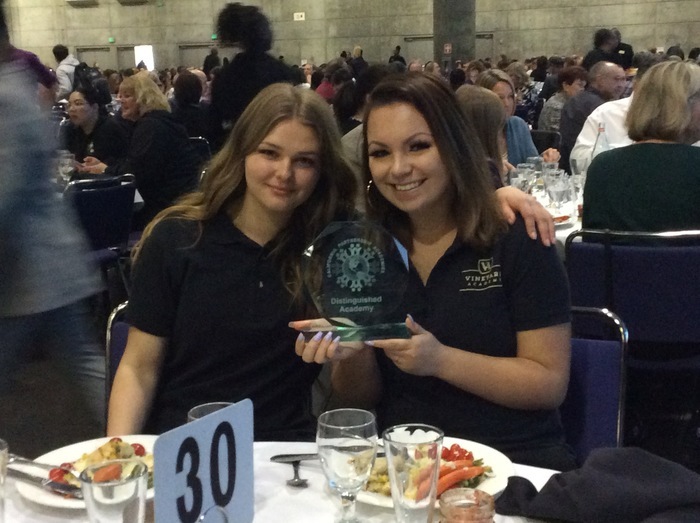 Last week, all of Vineyard Academy attended the Educating For Careers Conference and were honored with Distinguished Academy status from the California Department of Education, High School Initiatives office. This honor makes Vineyard on of the top five out of the 424 California who are designated Lighthouse Academies and Distinguished Academies. Message to Parents of 2019 Seniors: Graduation is quickly approaching! Jostens deadline for ordering caps and gowns, graduation announcements and accessories is April 1st. The website to place your order is: www.jostens.com. Don't delay, order today! Don't Forget! Our Community in Circle Event is tonight, January 25th from 6:30 - 8:30pm in our WHS Theater. 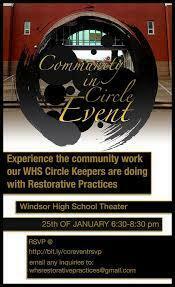 Come experience the community work our WHS Circle Keepers are doing with Restorative Practices! Welcome to Windsor High School!